Over 60 years combined experience representing victims of personal injury. The Rudman Law Firm, APC is a dedicated personal injury law firm featuring two attorneys with over 60 years of combined experience representing personal injury clients. From our offices in Los Angeles and Studio City, our legal team advocates for the rights of injury victims throughout Southern California. 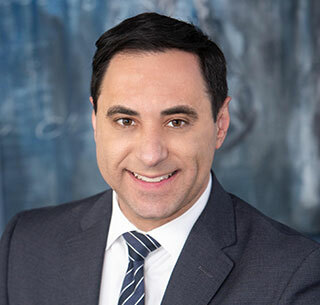 We are proud to be led by Jeffrey A. Rudman who has been elected to serve as the President of the largest local trial lawyers association in the country, the Consumer Attorneys Association of Los Angeles, for the year 2020. Personal injury law is all we do. This level of focus allows us to devote all our resources and time to pursuing just results for injured clients in claims pertaining to car collisions, truck wrecks, motorcycle crashes, premises liability, products liability, workplace injuries and other serious accidents. We recognize that an injury touches every aspect of your life. An injury can interfere with your work and interrupt your family responsibilities, in addition to diminishing the quality of your life. Our goal is to help you recover the compensation you need to put your life back on track as quickly and completely as possible. We take the pressure off you of navigating the legal system so you can concentrate on your medical treatment and rehabilitation. Our lawyers care about your case. We are available to help, even if your accident occurred outside of regular business hours. We can schedule your free case evaluation on weekends and afterhours and visit you at your home or the hospital. Our Spanish-speaking staff assists our Hispanic neighbors, so that language is not a barrier to justice. We explain every facet of the legal process and our strategy for recovery. We give you regular updates and keep you apprised of issues that arise. We always respond to your phone calls and emails on the same business day, unless we are in court, in which case we respond within 24 hours. Throughout your case, we want you to feel comfortable picking up the phone to ask questions, get updates or alert us to issues that might arise. Our communicative and highly responsive approach not only empowers you and eases your mind, but also helps us do a better job for you. What’s Included in a Free Consultation with The Rudman Law Firm? What Happens When I First Meet with my Lawyer? What is Recoverable in Personal Injury and Wrongful Death Claims? What are the Phases of a Personal Injury Claim? What are Common Injuries Sustained in Personal Injury Cases? What are Common Medical Treatment Options After an Accident? What Can I Expect Once a Lawsuit is Filed? How are Experts Used in Personal Injury Cases? Our attorneys have more than 60 years of combined experience handling personal injury claims. Our sole mission is to help injured victims. Our lawyers regularly volunteer their time and experience to organizations that share our objectives. 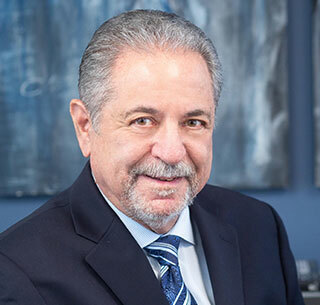 Attorney Jeff Rudman has served on the Board of Governors for the Consumer Attorneys Association of Los Angeles (CAALA) since 2008 and was elected to serve on the Executive Committee in 2015. He will serve as CAALA’s President in 2020. As the country’s largest local association of plaintiffs’ attorneys, CAALA advocates for victims’ rights and their equal access to the justice system. The organization supports its over 2,800 members in providing effective representation to people who have suffered harm. Attorneys who belong to CAALA often consult with each other to improve the representation of all injured victims. In fact, Jeff Rudman spearheaded the CAALA project that created a database of over 2,000 legal documents as an important resource for plaintiffs’ attorneys in Los Angeles and the surrounding jurisdictions. Our personal injury attorneys take on challenging claims involving catastrophic injuries and complex fact scenarios. We have obtained multimillion-dollar settlements and verdicts on behalf of numerous clients. At the end of the day, you need compensation to pay for medical care, lost income, disabilities and reduced enjoyment of your life. We are committed to pursuing the maximum compensation possible in your case. Click here for some of our results. The Rudman Law Firm, APC concentrates solely on personal injury claims. If you have been injured, consult with our experienced dedicated team at our Los Angeles office at (213) 375-3777 or in our Studio City office at (818) 769-6969 or call us toll free at (844) 478-3626 / (844) 4RUDMAN. Your first consultation is free and your claim is handled on a contingency fee basis. If we do not handle your type of case, we may be able to refer you to a lawyer who can. Read more. I would like to post the highest possible recommendation of Jeffrey Rudman. Jeffrey was very successful in fighting for my rights and did everything possible to brilliantly win a hotly contested jury trial. He was very open in discussing and planning every aspect of the case, and gave all the pro's and cons for every decision at every step of the way.